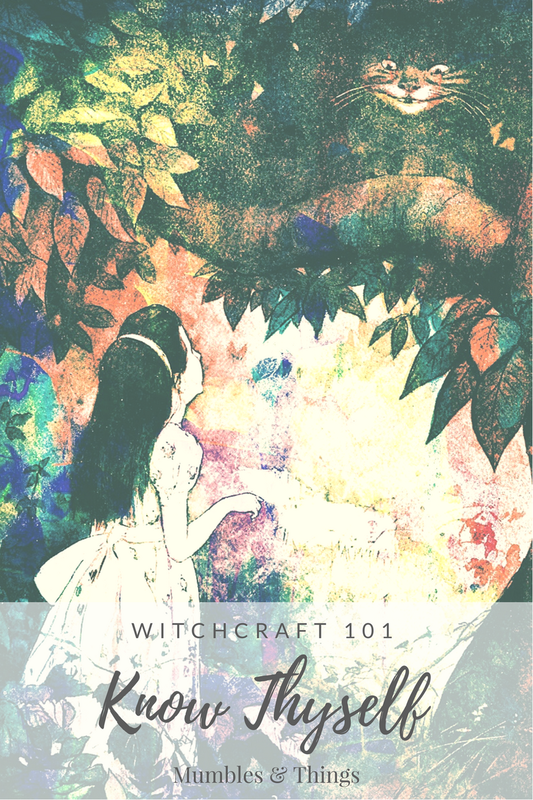 On your path to becoming a witch, you may be eager to jump right into spell work and crystals and tarot cards, but let’s take a moment and put everything into perspective. Before you start with all the more mystical part of witchcraft I want you to take a minute to learn more about yourself. Gnothi Seuton means, “know thyself.” This is what the ancient Greeks carved on the temple at Delphi. It is an ideal that human beings have struggled toward for thousands of years. Ben Franklin even wrote in his book Poor Richard's Almanac the "There are three things extremely hard: steel, diamond, and to know one's self." While he is right, it is difficult to truly know yourself, it is probably the most important thing you can do, especially in regards to witchcraft. Some of your choices will involve transformation and striving to become the best version of yourself. Well, darling, you can't change what you can't see. The journey of learning is never ending, in that there are unlimited resources available to you and your capacity to learn is unending. This includes learning about yourself. Whether you struggle with admitting your flaws or acknowledge your gifts, start by being honest with yourself, today. 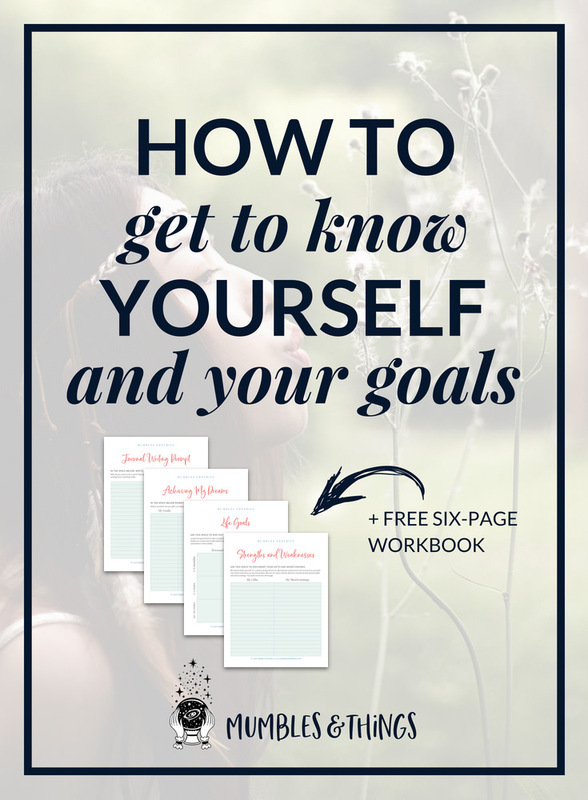 There are many ways to get to know yourself. One way is to meditate on what gifts you have and also what your shortcoming are. Be honest with yourself; it’s counter productive to lie. But also be careful not to be too hard on yourself. Just stick to the facts as you know them. Write down what you learned about yourself during your meditation. During your self-analysis be sure to cover mental, physical, emotional and spiritual gifts and shortcomings. You want to be very thorough. P.S. I’ve made a worksheet to help you do this. 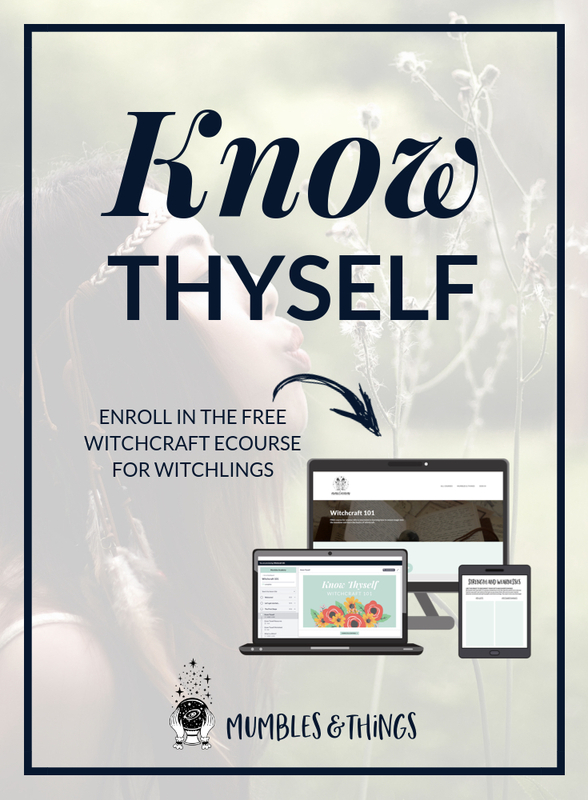 Scroll down to enroll in Witchcraft 101, my FREE ecourse and access all the video lessons and worksheets. All of these can help you think about how you would act in certain situations and guide you to a place of self-knowledge. Related: What is a Sun Sign? If you dare, you could ask a close friend or family member to help you. Sometimes those you spend time with can see things that you can't. Good and bad. Proceed with caution: if you can't handle hearing those not so flattering things about yourself from another or it will not enhance your relationship with this person, maybe it's not such a good idea to ask for help in this regard. As you look at your list of strengths and weaknesses focus on those weaknesses for a minute. Are they really that bad? Or are you being too critical? If it's something you really wish you could change about yourself, make note of it and come back to it later. Once you’ve spent time looking at your strengths and weaknesses and have a good idea about who you are, it’s time to explore where you want to go. Visualize how you’d like your life to be. Daydream and follow every whim. Think about both personal and professional goals and how long it will reasonably take to complete them: one to six months, one to five years, or ten to twenty years. Long term goals tend to take a longer time to achieve or require more skill while short term goals are things you could conceivably begin accomplishing today (or tomorrow) with medium term goals falling somewhere in the middle. Think about what you learned during these meditations. If you wrote down notes compare them side by side. Match up which of your gifts can help you achieve your goals and how your shortcomings may interfere. Use the button above to download your worksheet so you can start making a concrete plan with discerning actions to support your goals. Start by only surrounding yourself with people who encourage you. If there are people you cant shake (a nagging boss or a difficult family member) make sure to limit your time with them and prepare yourself for the emotional drain by practicing self care exercises. Hold yourself accountable. Don't keep your dreams tucked inside where they can't breathe. Let them out, talk about them, brainstorm with people for ideas to help you achieve them. It's great to have big goals! Break that big goal up into smaller steps you need to take to achieve it. Maybe you need to acquire a new skill or take another class or buy the supplies. Do the first step, then the next step, then the next one until you get there. Celebrate and express gratitude often. Make sure you always recognize the blessings in your life and don't take those for granted as you reach for your hopes and dreams. Alice meets the Cheshire Cat during her adventures in Wonderland, in the 1865 novel written by Lewis Carroll. This just means that if you don’t have a plan for your life, you can still lead a perfectly happy life. You may even get exactly what you want without any consideration on your part. But, I’m willing to bet that you stumbled upon this post because you want to learn to be a witch. And one of the main reasons people are drawn to witchcraft is because they want to take control over their lives. Why do you want to become a witch? By doing all this legwork, you are reprogramming your mind. In order for your innate magic to work, you need to have the outcome in your head. You need to know where you’re going and what you want. Save your notes and read them through to remind yourself of the path. Add to them and alter them periodically, as your goals in life will inevitably change. Take the next step in this series and read what is a witch and what kind are you next. Please share what you learned about yourself in a comment below.